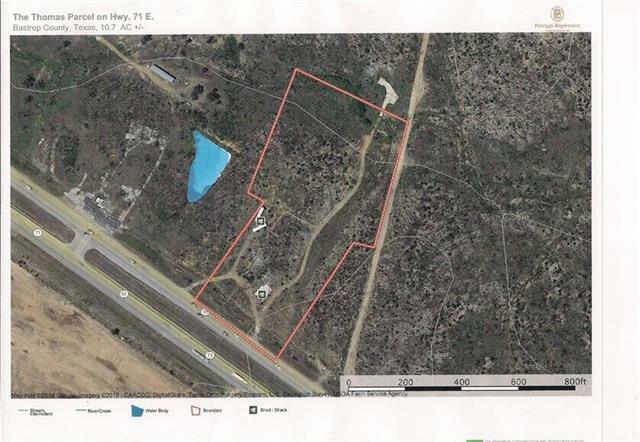 Located on HWY 71 between Bastrop and Smithville, this property is visible and accessible from double frontage, providing a high flow of traffic! This 10+/- acre tract of land is the prime location for your business! Easy highway access with 300+/- frontage, short commute to Bastrop or Smithville, 30 minutes to ABIA and next to succeeding business. Come see this property and envision your commercial dream starting!